The Universe is filled with a sea of radiation. Theres a background of light created by various cosmic processes. 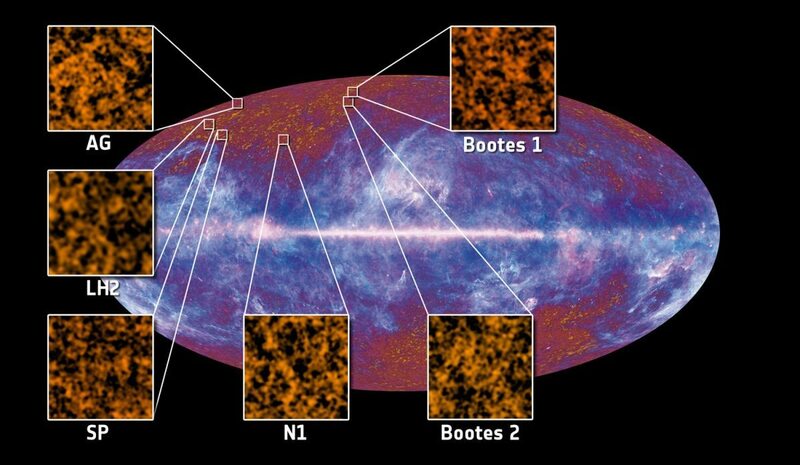 The most famous is the cosmic microwave background, but there are other cosmic backgrounds such as the x-ray background and infrared background. That last one is notoriously difficult to observe. In principle measuring a background should be pretty easy. Just look for those particular wavelengths of light in all directions. The problem is that in addition to any background signal there are also lots of things that produce those wavelengths directly, known as the foreground. Separating the foreground from the background is always a challenge. When the BICEP2 debacle occurred, the debate centered on whether BICEP2 had actually detected an effect of the cosmic microwave background, or whether it was noise from foreground objects. It turned out to be the latter. The foreground effect is such a challenge for the infrared background because so many things produce infrared light. If something is “warm” it’s radiating in the infrared. Much of the infrared background comes from distant galaxies. As the light of a galaxy’s stars strike gas and dust it warms them, causing an emission of infrared light. Quasars can also add to the infrared background, when the x-rays and gamma rays collide with gas and dust, and that energy is re-emitted as infrared. Just like the cosmic microwave background has small variations in temperature and brightness, the cosmic infrared background also varies slightly. Since these two backgrounds have different sources and were emitted at different times in the history of our Universe, comparing them provides clues about the evolution of the early Universe. It could even provide clues about dark matter and dark energy. I think that your website is very interesting and always it has great topics. I would like to ask you to write about the fifth force of the Universe. What is the source for the image at the top of this excellent blog post?